The Dell XPS 15 still remains one of the best laptops money can buy, but is not without its flaws. As we head into 2018, we expect Dell to refresh the XPS 15 lineup with new Intel 8th generation CPUs and hopefully address some of the nagging problems in the current generation. Here's a list of what we'd like to see changed in the upcoming refresh of an already great piece of hardware. The Dell XPS 15 is a formidable premium laptop that gets a lot of things right. The current available model, the 2017 XPS 15 9560, has consistently performed well in most reviews and is also on our top 10 list of multimedia notebooks. 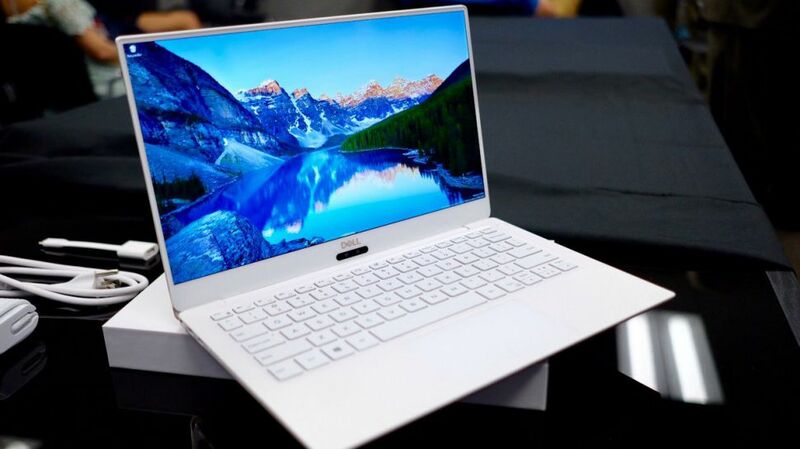 Despite being a highly recommended notebook cutting across reviewers, the XPS 15 is not without some pertinent flaws; some of them are pretty glaring, and gauging by the feedback on Dell's support forums and our own experience, it is hard to ignore them. After Dell teased its upcoming iteration of the XPS 13 in a couple of new colors ahead of CES 2018, it was obvious that the XPS 15 would also be subject to some upgrades. In addition, while the XPS 15 9550 was peerless upon release, Dell's competitors have been catching up and continue to do so. The already released Asus's UX550 offers a stronger graphics card and full-speed Thunderbolt 3, and we can assume that late-2017 and early 2018 will bring even better competition. Dell will need to deliver an even more impressive XPS 15 as we head into 2018 — and so with that preamble, here is our (relatively) conservative wish list for the XPS 15 9570. This is a very important issue and hence we feel that this deserves the first mention. 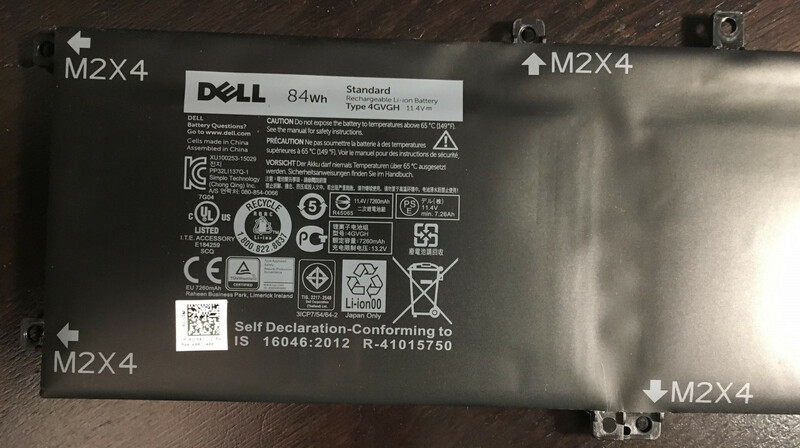 Dell has been receiving a lot of bad rep on their support forums for various battery issues and their unwillingness to replace faulty batteries even under warranty. Many of the earlier XPS 13 and 15 variants had swelling batteries that caused displacement of the trackpad above them, rendering them useless. Customers did not get free replacements up until now and even then, have to send in the entire notebook just to get the battery replaced. Those who wished to order new batteries were also out of luck as the higher capacity ones were on back-order. The way the company handled swelling batteries by recommending purchase of refurbished batteries was also pretty dismal. At least in the upcoming iterations, we hope that Dell exercises due diligence on battery quality control and addresses concerns at the earliest. On a related note, we also hope to see Dell implement their Dynamic Power Policy in a way that does not conflict with Windows Power Management settings. Dell did a bad job of not implementing Intel Speed Shift compelling users to meander through ThrottleStop or R/W Everything to eke out the maximum performance out of the CPU. It is time that Dell implemented a more effective power management solution. The upcoming XPS 13 in 2018 will come in two color variants — Alpine White and Rose Gold. We are not sure whether the classic color scheme would be retained or not, but the next XPS 15 could also use some new color choices. Apparently, Dell is also creating a whole new material for the palm rest, which is now glass fiber comprising of a woven crystalline medium and a clear resin, to ensure that the aesthetics are not compromised. We know that the upcoming XPS 13 will feature this but are hopeful that the XPS 15 would also have a similar implementation. The current palm rest is a fingerprint magnet and Dell could use some redesign to ensure a clean and aesthetic look that gels well with the rest of the notebook. This is mostly a given. The current high-end XPS 15 variant uses the Intel 7th generation Core i7-7700HQ 45W TDP CPU. There is every possibility that Intel could debut 45W Coffee Lake CPUs sometime between Q1 to Q2 2018. These chips could feature up to 6 cores and 12 threads (6C/12T) and would be the right fit for a new XPS 15. Although the Kaby Lake-R chips feature 4 cores, their performance might be limited due to the 15W TDP. But in our comparison between the 15W Kaby Lake-Rs and the 45W Kaby Lake chips, we found out that the performance of the new 15W chips is equivalent to the 45W Kaby Lake CPUs. Therefore, this could go in two ways — either Dell would wait to implement a 6C/12T 45W Coffee Lake CPU, or tune the TDP of the existing Kaby Lake-R chips somewhere between 20W to 28W to extract the maximum performance possible without throttling (we really hope they don't do this). This will definitely be an interesting thing to watch out for. Speaking of throttling, it is high time Dell implemented a more robust cooling solution with at least 3 heat pipes. 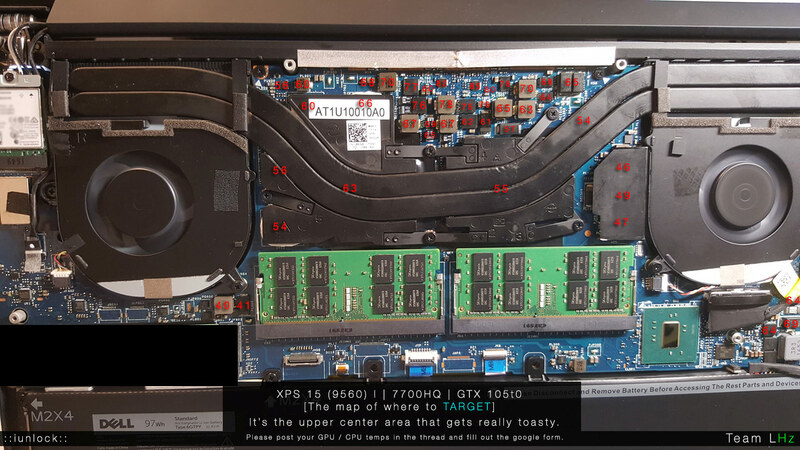 The XPS 15 9560 suffered from performance constraints due to thermal throttling from a bad paste job on both the CPU and GPU. The MOSFETs in the voltage regulator modules (VRMs) also throttled due to high temperatures. Enthusiast users had to manually re-apply thermal paste and undervolt the CPU to prevent throttling. Also, thermal pads were required to be attached to VRMs to drive away all the excess heat. We really hope Dell gets its act together this time and alleviates the need for unwarranted tinkering. The GPU could also use an upgrade. The new 15-inch Surface Book 2 could muster an NVIDIA GTX 1060 in a thin chassis and we feel that it is time Dell does something on those lines; at least a MaxQ version of the GTX 1060 or above with better engineered cooling. The GTX 1050 in the current lineup is no slouch for productive tasks like video editing and the works, but it is not the best GPU out there for gaming at ultra settings and definitely not the best for Virtual Reality (VR) or Mixed Reality (MR). With the release of the Fall Creators Update for Windows 10, Microsoft is betting heavily on the VR/MR experience and notebooks such as the XPS 15 should be poised to handle such content with ease. 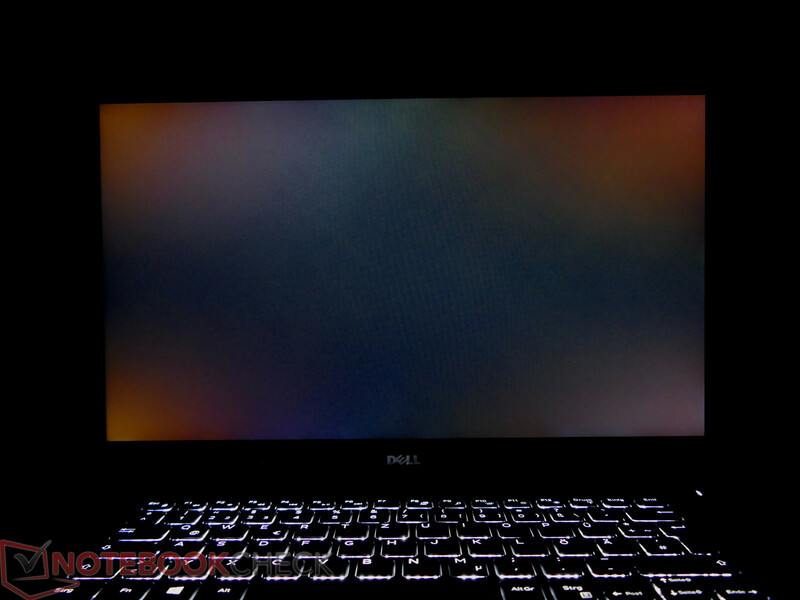 The XPS 15 9560 FHD showed backlight bleeding in the corners. Make no mistake, the InfinityEdge Sharp 4K IGZO panel on the XPS 15 UHD version is a treat for the eyes. However, we would like to see better brightness uniformity across the screen and better display response times. Reduced backlight bleeding could also help. Just like the earlier models, we expect the upcoming XPS 15's display to feature both FHD and UHD variants. Although the display panels of the current generation are good, many users have reported seeing uneven red hues on the corners of the screen. The FHD version also presents other issues including high backlight bleeding, less accurate colors, and uneven installation. Professional photographers and video editors prefer UHD while at the same time, many would also prefer FHD in the interest of battery life and costs. Therefore, we would be glad if Dell could give both the UHD and FHD displays some much needed attention. While at it, Dell could even consider equipping the FHD variants with touchscreens. The XPS lineup falls in the enthusiast multimedia segment that can also game, and it does its job very well. But the less than average combined black-to-white and white-to-black pixel response times make it less of an ideal laptop for fast-paced gaming. In its current iteration, the UHD version has a 39.2ms delay in shifting between black to white while the FHD version has a 52.4ms delay. The FHD version makes an excellent display choice for gaming and Dell needs to ensure that the upcoming version has reduced pixel response times. The new XPS 13 (Core i7-8550U) has a good response time of 27.2ms and there's no reason why the upcoming XPS 15 couldn't feature that. Dell could also take some cues from the OLED display in the Alienware 13 R3 but we are not holding our hopes high on that. 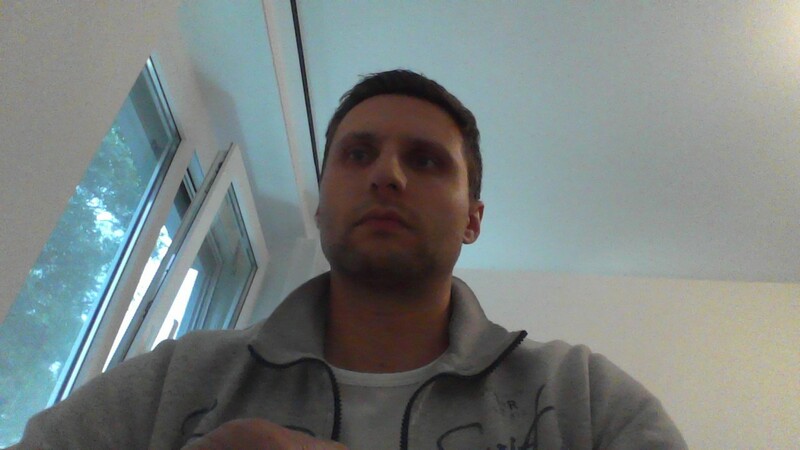 The incorrectly placed webcam results in awkward angles while video conferencing. This has been falling deaf on Dell's ears for quite some time and has become a major gripe with the XPS lineup. Sure, the narrow bezels draw the user into the content away from the chrome but that comes at a cost of having an awkward webcam placement. So much so that reviewers and users have started referring to it as the infamous 'nosecam'. We are not quite sure if Dell would be addressing this issue and going by the first looks of the 2018 XPS 13, we see that Dell still hasn't learnt its lesson. But on the bright side, the webcam in all probability will now be centered and we also expect to see the debut of an IR camera for Windows Hello authentication. While this a welcome development, placement of the webcam and the IR camera at the top would end the disquiet once and for all. The XPS 15 doesn't have the convenience of folding the display like the XPS 13 2-in-1, therefore, having a proper webcam placement is the least one could wish for. Dell's choice of varied SSD suppliers for different capacities within the same XPS lineup creates fragmentation in how the devices perform. In the review units we got for different XPS 15 SKUs, we found that the 512 GB variants were performing on par with the competition but the 256 GB variants were too underperforming for the buck. As seen in the benchmark scores below, the 256 GB Toshiba SSDs that Dell uses in the latest XPS 13 actually fall short of their rated transfer speeds. As a performance oriented notebook, the XPS 15 cannot afford to have such a low performing storage subsystem. Sure, the SSD can be swapped for a faster Samsung PM961 but given that the SSD model is not advertised during purchase, Dell could do us all a favor by bundling high performance SSDs. The addition of a HDD comes at the cost of reduced battery capacity in the current models. Dell also gives users the option of using a standard HDD in the 2.5-inch bay but in the current implementation, it requires opting for a smaller 56Wh battery not to mention the fact that the mounting brackets and connecting cables need to be sourced separately. We do not expect a radical change in the chassis design at least for the foreseeable future so using both a conventional HDD AND a 97Wh battery in the same chassis might still be a far fetched idea. However, we still hope that Dell would provide a much better solution to strike a good compromise between maximum possible battery capacity and storage or, better still, provide two M.2 slots and forego the mechanical drive option altogether. The typing experience on the current XPS 15 models is not bad, but it's also nothing to write home about, either. We hope to see a deeper key travel of at least 1.5mm or more for a comfortable typing experience. The current key travel of 1.3mm is fine for most use cases but those who code or write for a living would immensely benefit from a longer key travel. Given the constraints of the chassis, a dedicated numpad might not be possible but Dell could surely include some additional programmable auxiliary keys that could help in creating useful shortcuts. Dell also needs to do away with the PWM on the keyboard backlight as it could very well be a sore point for sensitive users. Although most users will barely notice the flickering, a higher frequency or no PWM can make it less jarring for those using the notebook in dark. The XPS 15 features Thunderbolt 3 capability over a USB-Type C Gen.2 port albeit, a gimped one. Current XPS 13 and 15 models provide only 2 lanes (20 Gbps) for Thunderbolt 3. This severely limits the ability to use external GPUs (eGPUs) with the notebook, especially, when the eGPU is used to drive the internal display instead of an external one. The XPS 13 2-in-1 9365 has full 4 lane (40 Gbps) PCIe bandwidth for Thunderbolt 3, so we are optimistic that the upcoming 2018 models of the XPS lineup will finally feature 4 lane Thunderbolt 3 I/O. Much to our chagrin, the first looks of the 2018 XPS 13 showed that Dell has dumped legacy USB ports altogether in favor of USB Type-C exclusively and we fear that this might be the same with the upcoming XPS 15 as well. 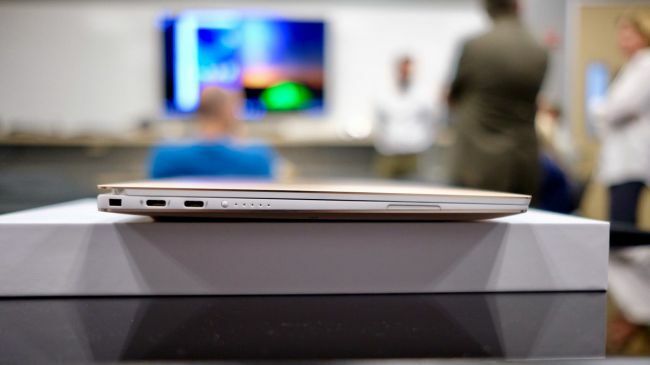 This might not go down well with all users given the fact that many devices today still use legacy USB 3.0 and USB 2.0 standards and having at least one standard legacy USB port will go a long way in minimizing 'dongle hell'. We could go on and on about a lot of nitty-gritty stuff that needs fixing, but overall we'd like the above points addressed in the 2018 XPS 15 9570. Given the rave reviews garnered by the current iteration, prospective buyers will no doubt look forward to the next version in the hope of getting a no-compromise computing experience. Dell should keep this in mind and, apart from better batteries, upgraded CPUs, storage etc., things such as a more reliable BIOS, upward firing speakers, and lesser noise emissions are definitely welcome. It would also be nice to see the option of an Intel Dual Band Wireless AC-8265 WiFi adapter or above in addition to the Killer Wireless AC 1535. While we found the AC 1535 quite good, some users have reported stability problems with certain older routers. Importance, however, should be given to battery quality control and proactive replacement of faulty batteries in the interest of user safety. While it is understood that a thin chassis will bring with it some compromises, CPU native features such as Intel Speed Shift find no reason to be disabled. With respect to Thunderbolt 3, although OEMs can implement either 2 lane or 4 lane configurations, customers would surely not prefer a gimped data transfer rate. If Dell plans to axe all legacy USB ports in the next generation, they better enable at least a couple of USB Type-C ports with full 40 Gbps Thunderbolt 3. Practically speaking, we do not expect Dell to address all the above points (props to them if they do). But based on user opinions and our own in-house experience and testing, we feel that Dell could improve upon the aforementioned points to make an already great notebook even greater. 2018 cannot come sooner.